Appium tests could be written in following languages. These are the extensions of WebDriver’s client binding and you would have to install the binding of your favorite language. Appium is an HTTP server which is written in Node.js and exposes REST API. It creates and handles multiple WebDriver sessions. It receives connections from a client, listens for commands, executes those commands on a mobile device, and responds with an HTTP response. It is same as the Selenium server, wherein selenium server gets HTTP requests from Selenium client libraries. Responds with an HTTP response representing the result of the command execution. Since Appium uses client-server architecture, we can write our test code in any language that has a HTTP client API, though it is easier to use one of the Appium client libraries. Appium server can be on a different machine than the one running test. Automation is performed in the context of a session. Clients initiate a session with a server specific to each library, but they all eventually send a POST /session request to the server, with a JSON object known as ‘desired capabilities’ object. At this point, the server will start up the automation session and respond with a session ID which is used for sending further commands. Appium is a server written in Node.js. It can be built and installed from source or installed directly from NPM. Appium client libraries support Appium’s extensions to the WebDriver protocol. 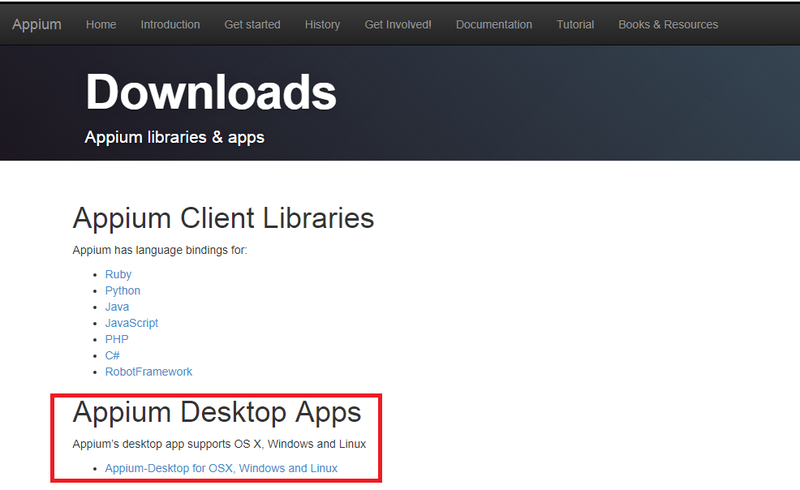 When using Appium, Appium client libraries should be used instead of the regular WebDriver client.